What should I do with the money if I win a Progressive Jackpot? - Casino Answers! Casino Answers » Casino Progressive Jackpots » What should I do with the money if I win a Progressive Jackpot? What should I do with the money if I win a Progressive Jackpot? It was just another gambling weekend when ‘Nakowa,’ as known on the web, won close to about $1.2 million in a progressive Bitcoin jackpot.If it were you, what would you do? If you win this, you become suddenly rich; everyone becomes your friend not to mention charities who will keep on knocking on your door. There is one rule for money – no money is too much and can’t be exhausted. Nakowa turned into one of the most successful gamblers in history overnight. What we don’t know is how he has used his fortunes, but for sure, he hasn’t stopped gambling – probably drooling for another big win. It doesn’t matter the amount of money you win when betting online on any gambling site. What is important is how you will use the millions in your hands. For years, I have been observing how winners of millions turn into beggars just a few months after their big wins. With these observations, I would like to share some of the things you need to know when you win a progressive jackpot. 1. Remain Anonymous – Your sudden riches attracts each and everyone’s attention. Everybody would want you to help them in one way or another. 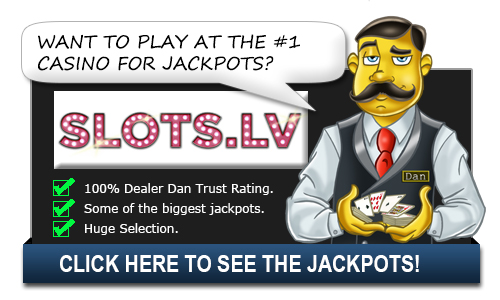 So long as your state rules permit, it’s good to stay anonymous when gambling on these sites. Dodge all these people and organizations gazing at your fortunes by staying anonymous on any bitcoin site. 2. Avoid Sudden Lifestyle Changes – Don’t do anything drastic within the first six months of winning big. Quitting your job or instantly purchasing a home overseas shouldn’t come even close to your mind. Because it’s natural to celebrate such windfalls, you can set a fixed amount for splurges. Save big expenditures for your investment team. Trust me; you’ll have to hire one. 3. Live within a Budget – Probably, your big win has given you your first opportunity to handle millions of dollars in your hands. Cash runs out faster than it usually comes in, so don’t go out on a spending spree. Restrict yourself to using your income and not the principal. Use the principal to invest and create businesses to expand your empire and financial fortunes. 4. Invest Wisely – It takes some form of money discipline for one invest prudently. Financial experts recommend stashing all your winnings into safe, short-term investments and not touching them for the first six months. You can ask advisors to come up with a reasonable investment portfolio composed of equities and fixed income investments. Don’t fall for investments you are not sure of. 5. Pay Off All Your Debts – As it’s often said, the best investment plan you can ever make is paying off your debts. As soon as you receive your check, consider paying off all debts. The rate of return on investment will always equal the credit card debt or mortgage. Ensure that you don’t have any debt on your back when you want to start investing. Remember to guard your assets against creditors. They include ex-spouses and people who can win lawsuits against you. People will look for ways to have a share of your fortune even if it means using bizarre ways. With proper money management, you and your heirs could live comfortably for many years. These are some of the lessons I have learned on winning big. 3 Lucky Red Casino High Roller Progressive Jackpots!